Well, it seems like Iran will be joining the list of countries that impose very strict internet restrictions on the people living the country. We have heard recent reports that are saying that the Ministry of Communication of Iran has decided to block the internet and replace it with its very own Halal internet. According the Communications and Information Technology Minister, Reza Taghipour, All Internet Service Providers are ordered to present National Internet by the month of August to the people of Iran. But when we talked to the department, they completely refuted that report and said that it’s just a hoax in the form of propaganda from the Westerners. Iran to Get Local Version of the Internet? Now the Iranian Ministry of Communication is completely denying the reports of restricting internet access from the country and they have also rejected any reports that suggested the introduction of Iranian alternatives to Facebook, Google and other popular websites. However, we have found that the country is planning to launch its own National Information Network by the end of March 2013. But when we consider the words of the Minister Taghipour, he said that these restrictions will be imposed in the month of April this year. Well, the Iranian Minister did not make it clear that whether this National internet will run parallel to the current internet or it will be a complete replacement to the old and free internet world for the Iranian citizens. We should also keep in mind that, previously Iran has taken such steps like blocking websites like BBC, Facebook, Google and some other important websites from the country. So, it seems like Iranian Government will be able to have even tighter grip over the internet activity of the users with the help of this new Internet version. Iran was the second country to introduce Internet in the Middle East but now it seems like the internet access in this country will also be monitored by the authorities. Previously, we have heard several reports that suggested that Iran was developing its own email system, operating system and various other tools that will replace the currently used foreign services. 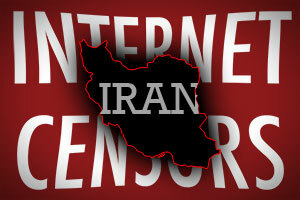 Last month, a report was published in Wall Street Journal that stated that Iranian Government was planning to stop the wide spread of western influence and objectionable content from the country with the help of a new internet setup. In addition to that, Iran will also be able to stop the outsiders from fuelling the protest campaigns in the country with the help of this new network. At this time, Iran and its government is completely denying all these reports of the introduction of a secured network, but there are chances that sooner or later Iranian citizens will be facing such restrictions. So, to bypass those restrictions they will need VPN services that will allow Iranian internet users to bypass all those censorships and restrictions and enjoy a completely free internet connection without any trouble. Here are some of the best VPN providers that offer their services to the people living in Iran.